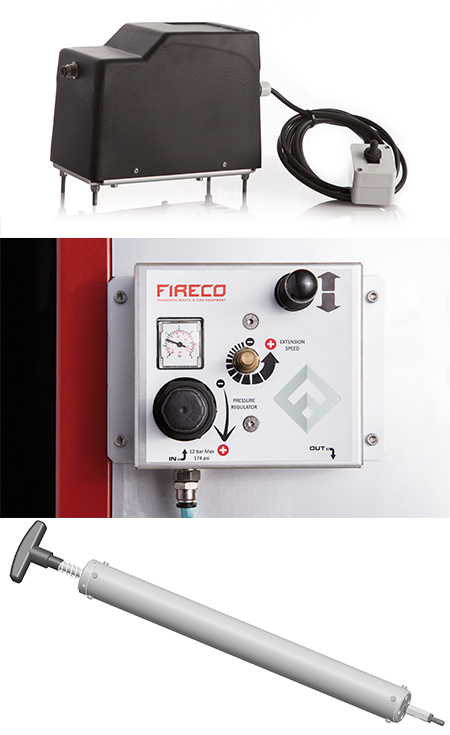 Fireco has an expansive offering of accessories to customize their pneumatic telescoping towers to meet your specific needs. 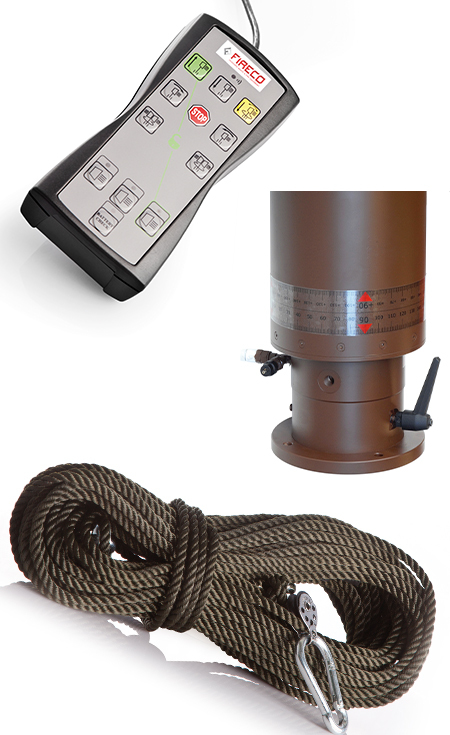 From mounting options, air supply and lighting solutions, to positioning and special mounts, Fireco has an accessory option to optimize your mast selection. Fireco masts can be mounted in a number of ways. With the use of roof brackets, masts can be mounted internally and extend through the roof of a specialty vehicle. 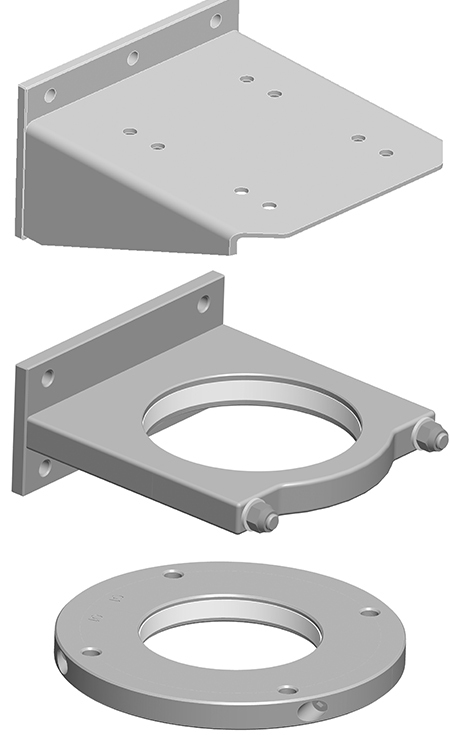 Upper and lower fixing brackets allow for external mounting on vehicles, trailers, and other applications. Additionally, larger towers can be equipped with extended or reinforced fixing brackets. There are various methods to supply air to Fireco masts. Air can be provided to lightweight masts with a hand pump while compressors are used for larger masts. Additionally, we offer multiple types of air blocks and air controllers meant to be used for mast extension and retraction, useful for controlling pressure when air is supplied from a vehicle break system or outside air tank. Fireco masts can be equipped with a wide range of lamp units that are available in 230V and 12V/24V options and up to 20,000 Lumen LED. 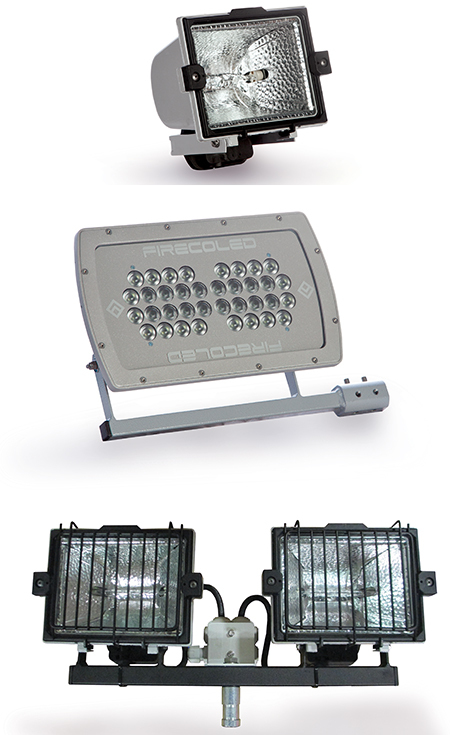 Lighting units can be mounted in various configurations that come fixed on the mast head, above, below, or on a positioning unit. 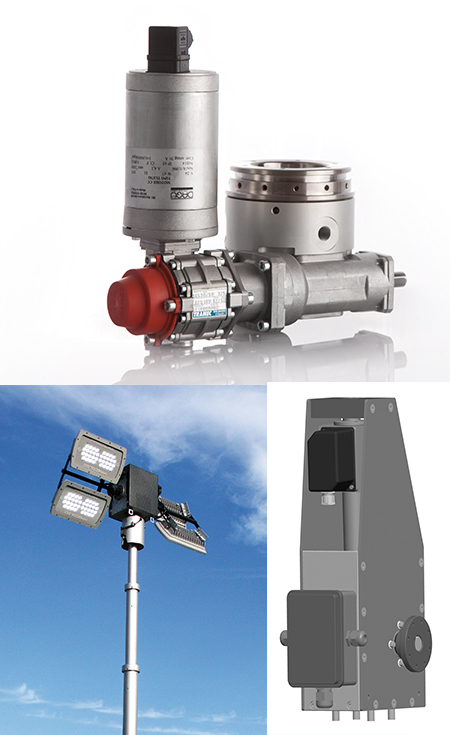 Both lightweight and partner masts can be equipped with compatible floodlight options. Tilt, Tilt & Turn, and Electrical Turning Base units are easy and reliable systems that aid in the positioning of the tower and its equipment. 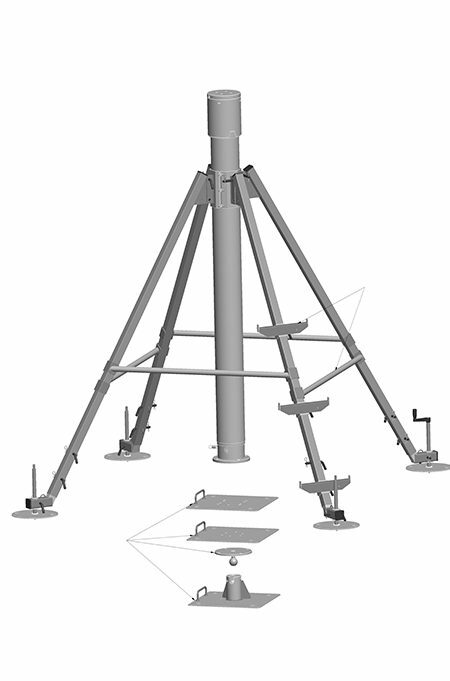 The Tilt and Tilt & Turn units reposition lamps or other equipment while the Electrical Turning Base allows for the tower to face any direction, repositioning the entire mast. All units are easily controlled by high-quality remote controls. Most mast models* can be quickly and easily operative on any surface with the patented Fireco tripod or quadpod. In the case of uneven ground, tripods and quadpods come with adjustable feet that can correct differences in height up to 15˚. The body is made of light anodized alloy and is corrosion-proof.